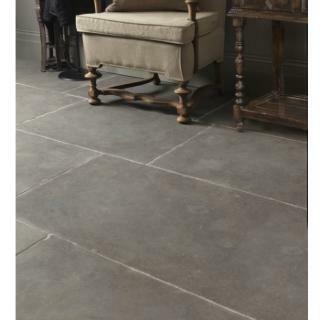 Fabulous large tumbled ﬂagstones with warm grey tones and occasional fossil and fern markings. This extra strong limestone will last forever. A classic English farmhouse look with tumbled edges.